Texas Orthopedics: What's the latest on cryotherapy? Everyone from pro athletes to seniors with arthritis are singing the praises of cryotherapy, or ‘freezing’ therapy to eliminate aches and pains and help the body heal after injury. WBC (or whole-body cryotherapy) involves subjecting the body to extremely cold/negative temperatures in order to treat medical conditions like arthritis or multiple sclerosis, decrease pain, reduce inflammation, and facilitate muscle recovery after intense exercise. The shock of the searing cold sends distress signals to the brain which then releases a special protein (norepinephrine) that has strong anti-inflammatory properties. This also blocks pain receptors to dull whatever pain you are feeling, while causing blood to re-oxygenate and replenish nutrients that are circulated through the body in hopes of repairing damaged muscles and tissue. 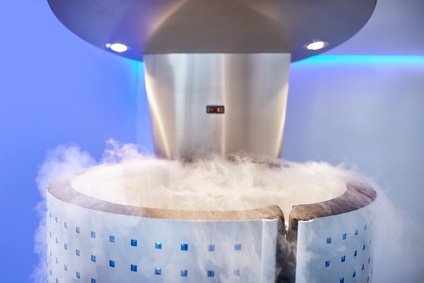 Although devotees of cryotherapy claim that it helps with pain in the immediate aftermath, the jury is still out scientifically speaking regarding its long-term effects on an injury or serious condition. Studies show that the cold temps can reduce inflammation in the body, but there have been no proven results to date showing the benefits to muscle recovery. People interested in trying cryotherapy should speak to their physician first about it, especially if you have a known heart condition. The extreme drop in temperature could be dangerous. At Texas Orthopedics, we suggest healthy diet, exercise, and personalized physical therapy as a first line of defense to treat arthritis, and other sports injuries. If you have questions about cryotherapy, or would like to discuss options to treat any pain you are experiencing, please contact us for an appointment with one of our specialists.